We were lucky enough to have the two beautiful and talented ladies from Los Angeles cosplaying duo, The Birds of ‘Play, give us an interview about their experiences. Their avid passion for costuming, cosplay, and comics is really evident in their detailed work and the characters they embody. How did you meet each other and what made you decide cosplaying was something you wanted to do? We met a few years ago through Addicted to the Knife, Los Angeles’ Repo shadowcast. Diamond Dove’s husband ran the cast and Phoenix was a founding member, and when DD moved out to LA from Austin, TX we both really hit it off! 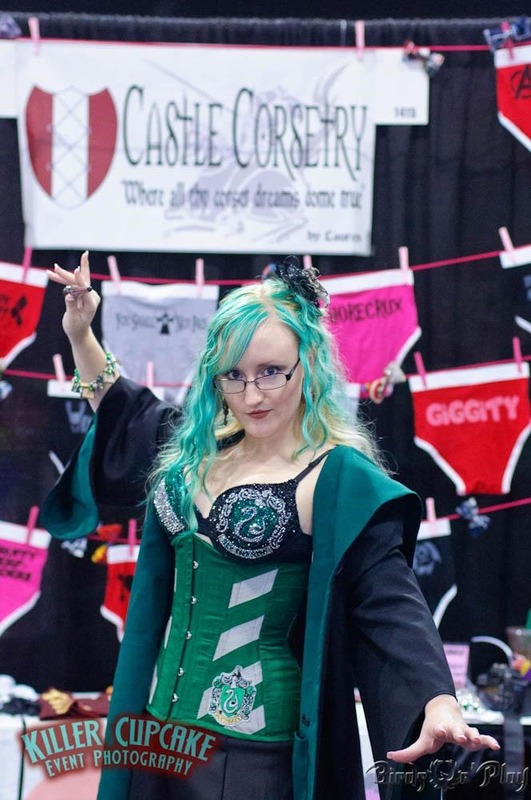 Our mutual love of costuming and geekiness, combined with Diamond Dove’s awesome costuming skills, led us very naturally to conventions and cosplaying. We’ve both loved dressing up and creating costumes for as long as we can remember. Diamond Dove’s mother taught her to sew, sparking a lifelong love of costume design. Diamond Dove has been designing professionally since graduating from FIDM. 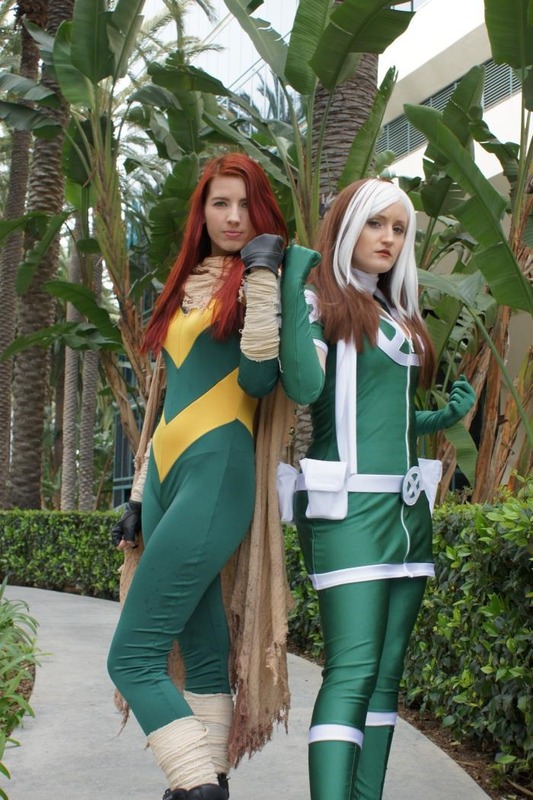 Phoenix has been creating her own costumes as a hobby since high school, and as a San Diego native, has been dressing up for San Diego Comic Con on and off since 2007. In the last two years we’ve really stepped up our game with more ambitious costumes and more events than ever! Phoenix’s very first costume, that she loved to death, was a mermaid costume that she wore almost daily from ages 2 to 5. 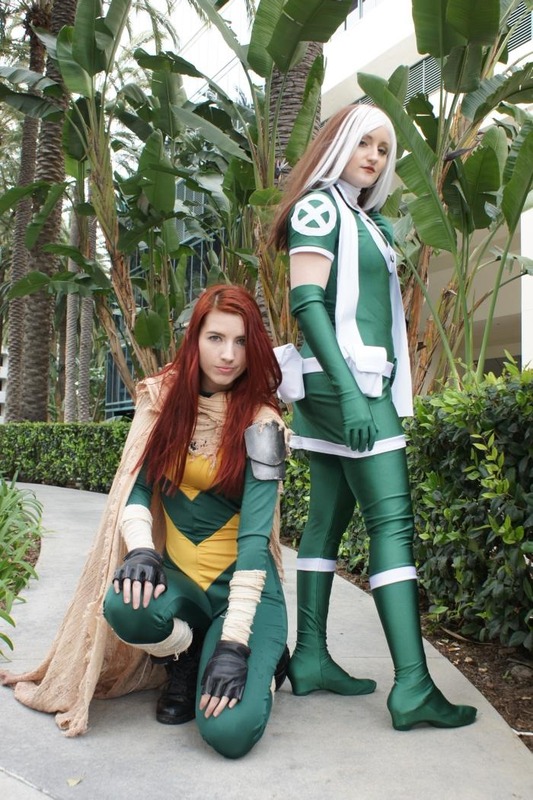 Her first cosplay costume, intended to be accurate and worn to SDCC, was Jean Grey as the Black Queen from X-Men. Diamond Dove’s first high-level costume was a period accurate, incredibly detailed rococo gown for a school project. Her first cosplay project was a screen-accurate Blind Mag from Repo the Genetic Opera for Austin’s shadowcast. Do you model and was it something you did before you began cosplaying? Phoenix works professionally as a model, and we both model for Castle Corsetry, of course! Phoenix started modeling somewhat recently, after outgrowing those “awkward years”. It was a result of cosplaying in a way — learning how to pose and gaining confidence to rock a superhero costume definitely helped! Do you make and/or design your own costumes? We do make and design our own costumes, with occasional help on props and armor. 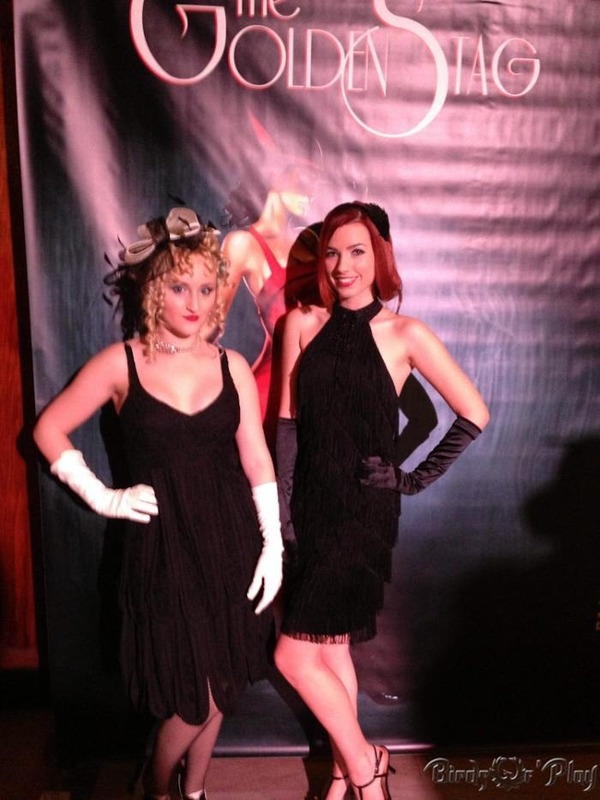 All our costumes are created by Castle Corsetry, with Diamond Dove as the lead designer and Phoenix assisting. 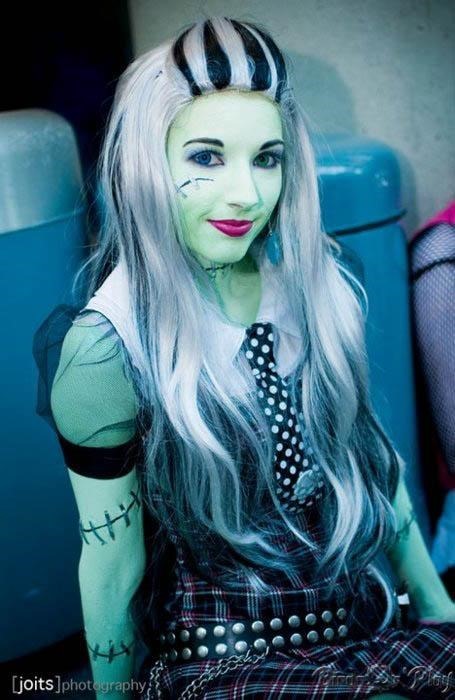 Overall, our Monster High costumes have been the most challenging! The costume designs are a lot of fun, but difficult to bring to life. Finding the perfect fabrics was incredibly difficult — Phoenix found a plaid that was similar to Frankie Stein’s dress, but the colors weren’t quite right, so she had to draw in one color entirely by hand. Diamond Dove’s Lagoona Blue bodysuit involved a custom pattern and rhinestoning by hand to get the scale effect. Once the costumes themselves were done, we had to color match body paint, get custom wigs, contacts, and prosthetics. It took us around six hours to get fully into the costumes the day of the event! 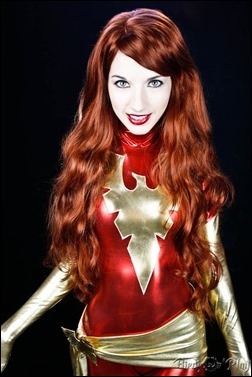 Phoenix’s all-time favorite character to cosplay is Jean Grey as Phoenix, specifically the Dark Phoenix! 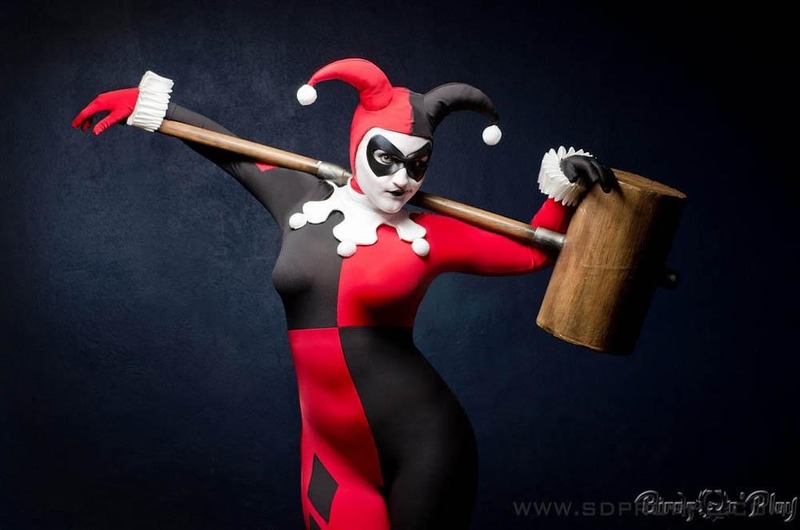 Diamond Dove’s favorite is Harley Quinn, based on her appearance in Batman: The Animated Series. 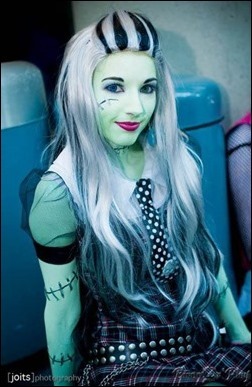 Well, our Monster High characters were technically the hardest, just because of all the intense prep time! Otherwise though, Phoenix sometimes has to work at bringing Dark Phoenix’s cosmic craziness to life, especially when she’s having fun at a con! Supergirl’s friendly and fun demeanor is pretty easy, though. Diamond Dove finds Lagoona Blue challenging, since the character has an Aussie accent and interacts with kids. Emma Frost is her easiest, since Emma’s icy confidence is a breeze. Sometimes it feels like our lives get so crazy and exciting that we don’t have ANY spare time! Both of us love to relax with some of our favorite TV shows, like Game of Thrones and RuPaul’s Drag Race. We also constantly rewatch some of our all-time favorite movies: Drop Dead Gorgeous, The Fifth Element, Mean Girls, and Hocus Pocus. Our nerdy interests take up a lot of time too! Phoenix enjoys RPG video games and has recently started playing Magic: The Gathering. Diamond Dove frequently marathons sci-fi series like Battlestar Galactica and Star Trek: TOS. And in the warmer weather, we can enjoy one of our more unusual hobbies, mermaiding! We both have fully swimmable mermaid tails, and are in the process of creating full silicone fins. We are both crazy X-Men fans, and so we’re really enjoying Marvel NOW’s All-New X-Men! Phoenix is also into the new X-Force book, mainly because Spiral is on the team. And when we don’t have a chance to catch up with our weekly titles, we reread some of our favorite trades. Overall, cosplay is an extremely rewarding and fun experience. But of course there are some aspects we don’t love! Once in awhile, a con-goer will assume that because we’re out in public in costume, it means that it’s OK to touch us without permission. Neither of us enjoy being physically grabbed for photos without warning or, at worst, having to deal with wandering hands. Being photographed when we’re obviously not ready — eating, fixing a wig, talking on the phone, etc. — also isn’t fun. WE work really hard to look our best when cosplaying, so when people purposefully take pictures when we have food in our mouths or a shoe off or whatever, it can be annoying! Everything else! Bringing our favorite characters to live is incredibly satisfying. Diamond Dove has a lot of fun with fellow fans interacting with her characters and getting excited about seeing them cosplayed. Phoenix loves meeting the creators of her favorite comics or other media while dressed as the characters they created. Are there any particular events that you prefer to appear at and how many do you usually attend in a year? We go to as many conventions as we can! Our number one favorite is the big one: San Diego Comic Con. It’s the one we gear up for all year long! Otherwise, we really enjoy Wondercon, Stan Lee’s Comikaze and Big Wow! Comic Fest. Our number one best moment is one we shared last year at San Diego Comic Con. 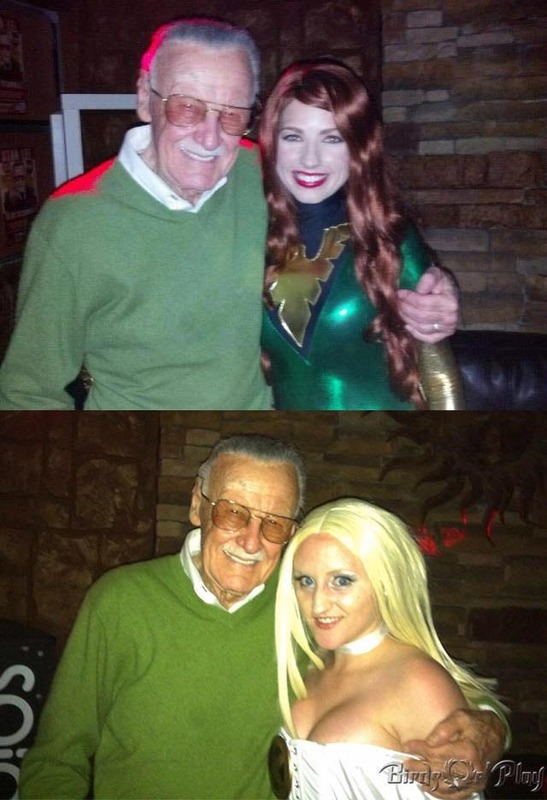 We were at a party in downtown San Diego, and a friend escorted us into the VIP section to meet the Generalissimo himself: Stan Lee! Phoenix literally teared up, she was so happy. It was even better because we were both in Marvel costumes! 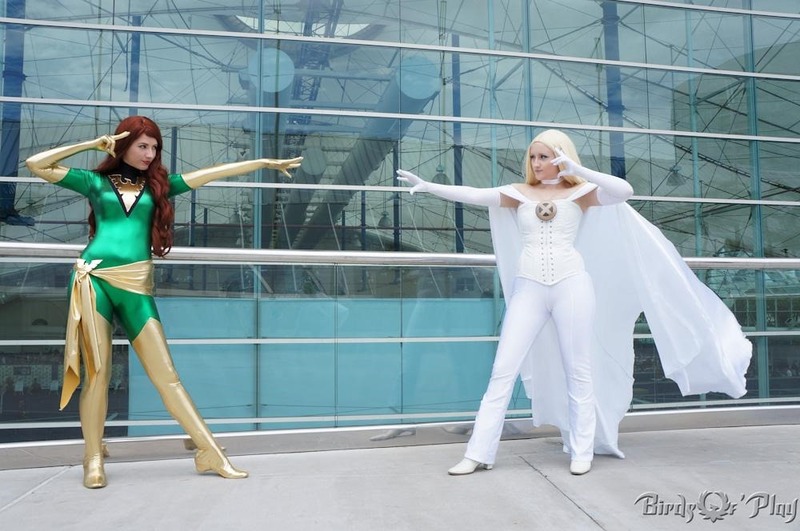 Diamond Dove was Emma Frost and Phoenix was Jean Grey in the classic green Phoenix suit. The major downside of conventions has got to be the cost. Between travel expenses, food, costume upkeep, and taking time off work, it can be hard to make it work. It can also be difficult to balance a heavy con schedule with real life obligations. The upsides make it all worth it though — making new friends, seeing old ones, meeting our fandom idols and just being in an environment where everyone in the room shares our passions and interests is absolutely great. There are a bunch of cosplayers we look up to and admire! Phoenix in particular is awed by Kamui Cosplay, Manzinat0r, God Save the Queen, and Kommissar Props. Lauren is a fan of Yaya Han, Bellechere, and R1ddle. Many of our friends are amazing cosplayers as well, like Ivy Doomkitty, StezyLee, DoctorKay Banner, and the ladies of Team Unicorn. We still feel relatively new to the scene, but in recent years we’ve noticed cosplay becoming more and more popular and more appreciated by mainstream culture, which we consider a good thing. With the popularity, cosplay just keeps getting better! At every convention we see better and higher quality costumes, and the explosion of creativity is particularly awesome. There are so many fun mashups and interpretations, and that individuality and creativity is something we look forward to seeing at every con! Counting the exact number of hours would probably make us crazy. Let’s just say, a lot. Commission Castle Corsetry! But really, the most important aspect of cosplay is PASSION. As long as you love what you’re doing you’ll enjoy it every step of the way and the end result will make it all worth it! It’s all about showing your love for whatever it is you’re cosplaying, so as long as you let that shine through you’ll have a great time. Phoenix wishes she had started to get serious about improving her construction and skills sooner, and Diamond Dove wishes she had gotten her wholesale license sooner (makes getting supplies a lot easier!). What does the future hold for Birds of ‘Play? We have a few really awesome projects and collaborations in the works! We don’t want to say too much before we’re ready, but keep an eye our Facebook page for updates. We of course have a lot of fabulous events and new costumes coming up, like Big Wow! Comic Fest and Myth Masque at the end of May, San Diego Comic Con in July, and hopefully Dragon Con in August. Phoenix & Diamond Dove, thanks for taking the time out of your very busy schedules to give us a look behind the scenes of Birds of ‘Play. We look forward to seeing a lot more of you both in the future! If you would like to invite Birds of ‘Play to your convention or want to contact them for modeling opportunities, you can do so through their email here.